This Is Never The Same As That. The early 90’s is a time period that marks an emergence of extremely distinct voices in Hip Hop, and we’re still celebrating this creativity when we listen to Kanye, Kendrick, ASAP, and Jay Cole. Not only is there a resurgence of funky jazz tones and soulful R&B hooks, there has also been a regeneration of 90’s style and perspective. That diversity may not be advertised as well as it was in the 90’s, but the sound of Hip Hop today is dynamic and is more than a constant beat from a bass drum. Rather there are a combination of varying drums reverberating, transcending, and allowing each Hip Hop head around the world to handpick the voice they’d like to hear. Black Sheep was at the helm of those innovative voices in the 90’s and their sound has echoed through Hip Hop for the last 20 years. Their classic “The Choice Is Yours” debuted in 1991 and the verses from that particular song seem to keep finding a way back on wax. The sportive hook comfortably linked two eras of music while laying a foundation for a third. Dres and Mista Lawnge suggested to enticed fans to follow their lead as they belted out, “You can get with this or you can get with that/You can get with this or can get with that/ You can get with this or you can get with that… Cuz this is where it’s at.” “The Choice Is Yours” displayed creative imagery and made boastful assertions of Black Sheep’s stylistic superiority to other rappers, while maintaining a cockiness of the time period. The song touts fans to listen to a wack rap because it wouldn’t affect their nastiness on the mic. It was a party anthem that enlisted crowd participation, but it was still smooth enough for a fan to fold his arms, lean back, commit to a relaxed bop. A tune had to be smooth to find its way onto Dr. Dre’s album the Chronic. This was Snoop Dogg’s first appearance onto the rap scene and he demonstrated the West Coast’s evolving lyricism. Here he laid out a different context for black culture in Los Angeles that was able to appropriate Black Sheep’s “This or That” hook. 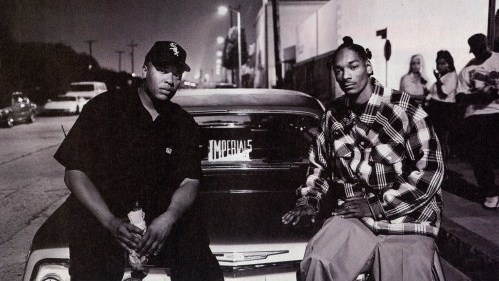 In “Nuthin But A ‘G’ Thang” Snoop and Dre didn’t present their listeners with an option; they asserted “this” is what we do and there isn’t an alternative. The Compton natives adjusted Black Sheep’s hook to resemble their California swag and bellowed, ‘It’s like this and like that and like this and uh/It’s like this and like that and like this and uh…” Fittingly, Snoop and the Dogg Pound controlled the airwaves for a considerable about of time in the early part of the 90’s demanding attention be paid to West coast rappers. Not only did Snoop receive that recognition around the world, there was a new generation of East coast rappers digesting Snoop’s delights. He added perspective and a flow to rap that didn’t exist at the time. Snoop’s gargantuan presence would explain why Jay-Live in All Of The Above pays homage to “Nuthing But A ‘G’ Thang” with “It’s Like This Anna…” in 2002. Ironically, Jay’s song promotes an entirely different message. His track is driven by the hook when he sings, “It’s like this Anna, It’s like that Anna…/So much hair I can’t wear a hat, Anna/It’s like this, Anna, It’s like that, Anna/ Am I supposed to still think the world flat Anna.” In this song Jay makes an attempt to reach out to young women caught in a cycle of self destruction. He cleverly invites Snoop fans to join in and contribute to uplifting women through direct actions as he introduces “Anna” as homophonic phrase that replaces Snoop’s pronunciation of “And Uh” in “G Thang’s” chorus. “It’s Like This Anna….” reaches back into Hip Hop history, binds it with the present, and attempts to mend a blaring social issue. It’s only right that the rhythm of “This and That” move through the three songs mentioned and find another medium. 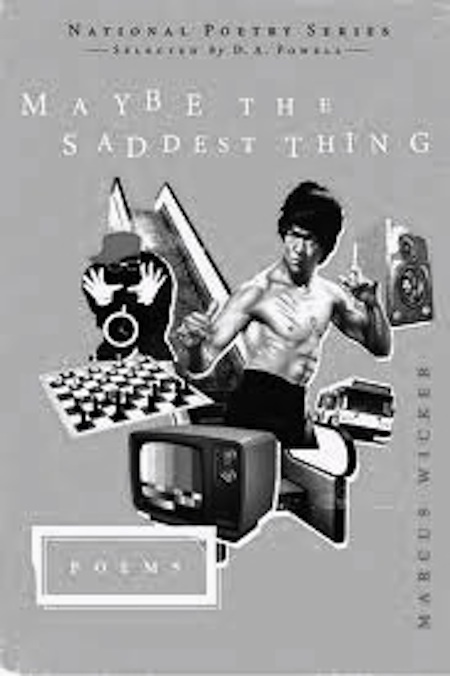 Marcus Wicker, an award winning poet and author of “The Saddest Thing Ever,” adjusts the hook this time in classic poetic form, Ars Poetica (1). As a fan of Jay-Live he writes “Ars Poetica In The Mode of Jay-Live.” The poem has many dimensions as it keeps to its commitment to the poetic form and Jay-Live’s style. The two major images presented in the poem is of a gun and a bird. It appears that the bird is creating a bullet, which is ultimately used with the gun for itself. The bird is shown living a degenerative life and follows many of its normal patterns, but the narrative interjects unhealthy substitutes in the birds day to day life that wears at it. 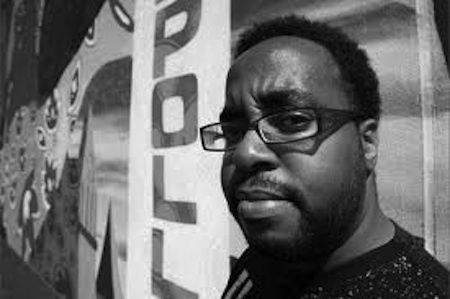 The entire poem has the rhythm and style of Jay- Live’s “It’s Like This Anna…” and displays appreciation of the poetic sentiment that’s created in this song, the three songs mentioned earlier, many other Hip Hop classics. One phrase intersected four narratives adding complexity to Hip Hop’s expansive list of literary potency. Moreover, the evolution of Hip Hop encompasses it’s past. Even though there may be some overlap, you can never expect “this” to be like “that.” Why would you want it to be? You gain in observing advancement for better or worst. Change allows evaluation in a way that may have never been explored. What connects these pieces don’t make them the same.